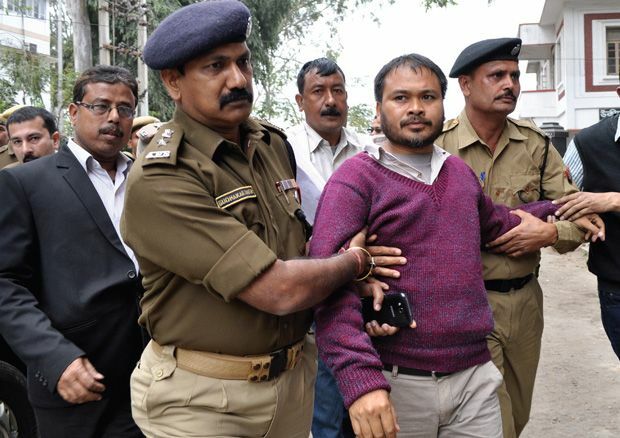 The trial against Krishak Mukti Sangram Samiti (KMSS) chief Akhil Gogoi in connection with the sedition case lodged at the Moran police station began at the court of the additional chief judicial magistrate in Dibrugarh on Tuesday. The firebrand peasant leader, who is lodged in Dibrugarh Central Jail since September 14, was present during the trial proceedings held before the additional chief judicial magistrate Imdad Ahmed. On December 13, the police had filed the chargesheet against KMSS chief Gogoi in connection with the sedition case (no 180/17) registered at Moran police station. As many as seven charges were slapped against the KMSS leader including sedition (Section 124-A) and attempting to wage war against the government (Section 121). The KMSS leader was arrested by the police following his alleged provocative speech at a public rally in Moran where he allegedly appealed to the people to take up AK-47 rifles in their movement against the government. While in judicial custody Gogoi was separately charged under the stringent National Security Act (NSA) in connection with a string of cases lodged at different police stations of the state. So far 54 witnesses have deposed before the police. Six more witnesses have recorded their statements before the magistrate. “Two other KMSS leaders Pradip Haloi and Debajit Baruah have also been chargesheeted in the case. Summons have been issued against them to appear before the police” Chetri said. On November 18, Assam Governor Jagdish Mukhi on the basis of the report of the NSA advisory committee headed by retired Gauhati High Court judge PG Agarwal, had confirmed the detention of the peasant leader for a period of 12 months under the National Security Act.